All prints for framing are printed on high quality, heavyweight paper. I use different papers depending on what is most appropriate for the particular image. Are the prints limited editions? 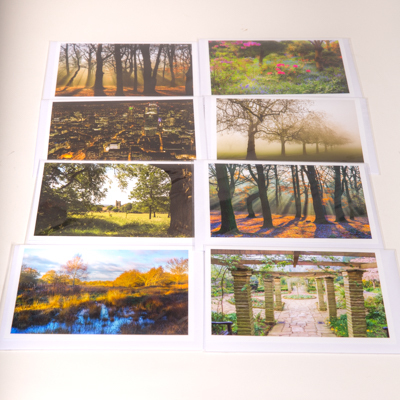 My prints are not limited editions as I would like to make them as widely available as possible while still personally printing or in the case of size A2 and bigger, supervising the printing of each image. I also do all the mounting and framing of my photographs in every size. (The only exception to this is when a print is purchased unframed and the purchaser arranges the framing.) As each printing, mounting and framing is done individually I often make small decisions during production which makes a piece unique and even my most popular prints are still currently well within the range of a limited edition of 25. Free local delivery on orders over £10. I will personally deliver to any address within 3 miles (or 5 miles on orders over £60) of Streatham (except frames larger than 100 x 70cm) Other deliveries at cost price. Undamaged returns accepted within 14 days. Buyer is responsible for return delivery.